Seven of Canada’s eight-best-selling vehicles are growing their sales faster than the overall market through the first four months of 2016. The Ford F-Series and Ram P/U are both on track for record sales years; the Honda Civic could challenge 2008 for the best-ever year for Canada’s best-selling car. Even with declines in April 2016, year-to-date sales of the GMC Sierra and Chevrolet Silverado are up 9%. The Dodge Grand Caravan, Canada’s third-best-selling vehicle in April, posted its highest-ever monthly results last month. April 2016 broke the record to become the highest-volume month in the Canadian auto industry’s history, boosted along by increasing fleet volume, a presumed degree of cross-border shopping, and consumer-friendly pricing. Increased demand for SUVs and crossovers is largely responsible for the booming market. Toyota, on its own, added 4000 utility vehicle sales in the first four months of 2016. Overall utility vehicle volume jumped 20% in the first-third of 2016 to more than 234,000 units, equal to 39% of the overall Canadian new vehicle market. Car sales, meanwhile, totalled 206,000 units in the first-third of 2016, a 5% year-over-year decline. Pickups added 17,000 sales to the overall ledger. Reminder: these are 2016 year-to-date rankings, but you can sort vehicles by April 2016 volume by clicking the April 2016 column header, or you can rank vehicles by improvements or declines using the % columns. Or, most importantly, you can list automakers together by selecting the Vehicle column header. There are visible brand results, so when you sort the table by vehicle names to showcase, for example, all Fords together, you’ll also see the Ford brand’s total. Manufacturers are shown in bold to differentiate makes and models. At any time, click the Rank column to return to the original format. If you’re on a mobile device, you may need to choose the full version of the site (at the bottom of the page) in order to use the sortable function. ² Total Prius Family sales: up 39% to 739 in April; down 13% to 2015 YTD. 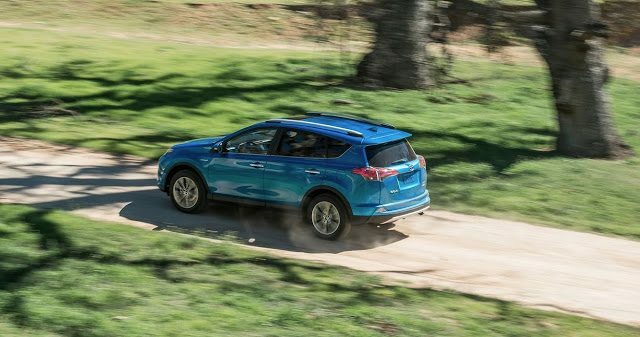 ³ Total Santa Fe sales: up 10% to 3916 in April; up 5% to 10,854 YTD. ‡ Total Genesis sales: up 6% to 266 in April, down 23% to 770 YTD. Sales data for brands such as Bentley, Ferrari, Lamborghini, and Rolls-Royce are unfortunately not broken down by model. estimates say sales for those brands in 2016’s first four months were 20, 72, 56, and 28 units, respectively. Total Maserati volume is reported, but not by specific models. It is believed that Tesla sold 460 copies of their Model S during the first three months of 2016.